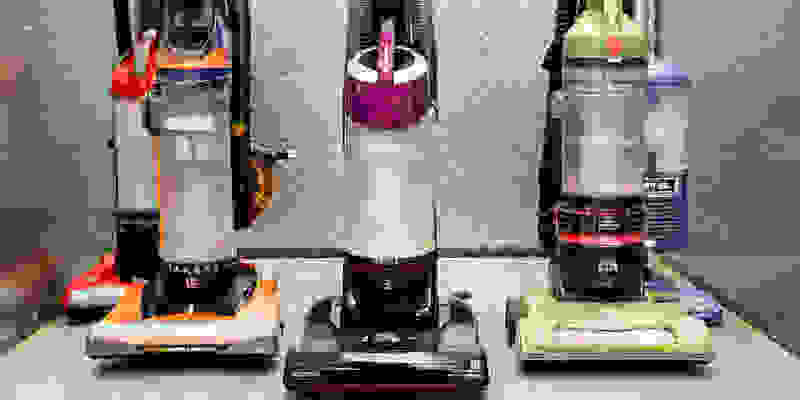 We've evaluated over a hundred vacuums in the Reviewed labs over the past six years, and expensive models have generally tested well. But if you think it's crazy to drop $500 on a high-end Miele or Dyson, you can still get great cleaning performance and convenient features for just a fraction of the cost. Because they're the most popular style of vacuum in the U.S., we decided to focus on bagless upright vacuums that retail for between $50 and $150. While they may be a bit louder and heavier than their more expensive counterparts, they tend to come with all the essential attachments and features. Who's going to come out on top? So we bought five of the best-selling vacuums at major retailers and brought them into our labs in Cambridge, Mass. There, we put each vacuum through the same rigorous tests that more expensive models also go through. We evaluated overall dirt and debris pickup, ease of use, weight, and sound—and then analyzed the results to find out which vacuums you should buy, and which ones you should skip. 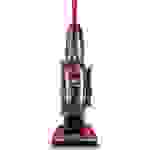 The Bissell CleanView offers the perfect balance of price and performance. 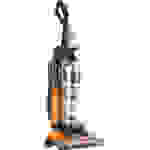 The Bissell CleanView 9595A is our overall winner. It sells for around $90 online and in stores. Our tests showed that the CleanView offered the perfect balance of performance and price. While this Bissell didn't excel in any one test, it did well across the board. Other vacuums on our list are better suited for a certain type of household—say, pet owners—but the CleanView is a great generalist. In our tests, we create a special dirt mixture that's representative of the dust and debris that gets tracked through most households. Then, we embed it into a normal carpet—the same way your feet would push dirt into your carpets at home. The CleanView picked up 43.5 percent of that dirt—which is about average. 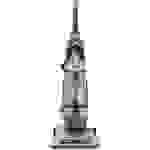 By comparison, the best vacuum we've ever tested only cleaned about 75 percent in a single pass. We also felt that the included crevice, dusting, and turbo brush accessories are also going to satisfy the needs of most households. At 77 dBa, it was louder than more expensive models, but one of the quietest vacuums we tested at its price. The overall best does have a few flaws: The Bissell CleanView does not have a retractable cord, nor can it carry most of its attachments on board. It also struggled with pet hair and deep pile carpet. However, it cleaned well across every other flooring type, had no problem with picking up debris, gets good user reviews for reliability and robustness, and costs ten percent less than its closest competitor. That's exactly how it got to be our number one choice. The Eureka Airspeed has two features that we adore, but also one major flaw that kept it from being the best affordable upright. First of all, the Airspeed achieved the highest dirt pickup on a normal carpet. On normal carpet, this $120 vacuum picked up a whopping 57.5 percent of the dirt mixture we put down—which is the best cleaning we've ever measured from a vacuum at that price point. Where the Eureka really shines when it comes to cleaning up hair—both human and pet. That's because the Airspeed has a brushroll cleaner, designed to keep long hair from wrapping around the part of the vacuum that spins to agitate dirt out of carpets. We tested this feature out on another Eureka vacuum and found it worked as advertised. If your first name is Samson or your last name is Godiva, this Eureka might be a good bet. However, when we switched over to high-pile carpet, the Eureka went from hero to zero. Amongst its competitors, it came in dead last for cleaning plush carpets and throw rugs. If the thought of wrapping up a cord when you're done cleaning fills you with dread, you may want to check out the Hoover WindTunnel Rewind Plus, which comes with a retractable cord. In our carpet tests, the WindTunnel picked up almost the exact same amount of dirt as the CleanView. While it costs a little more, that higher price tag gets you a cord that winds up automatically with the touch of a lever. There's also onboard storage for all the Hoover's attachments, so they'll always be at hand when you need them—instead of lost in the back of a closet. The downside? All these features keep the WindTunnel from breezing through rooms. With everything onboard, this Hoover tips the scales at 17.3 pounds. That's a full two pounds heavier than the Bissell. Even worse, there's no carrying handle on the back, which means it's a huge pain to lug up and down stairs. It also struggled with pet hair. The popular Shark Navigator Lift-Away was the most unusual vacuum we tested. Its Lift-Away feature means that users can detach the motor from the handle, which turns the unit into a pseudo-canister. Unfortunately, you cannot use attachments unless the motor is detached, and you have to lug the "canister" around because it doesn't have wheels. Other features don't come with as many tradeoffs. For instance, automatic height adjustment means you can go from cleaning a thick area rug to short-pile carpet without skipping a beat. 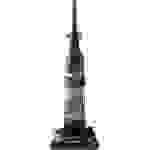 This Shark is also the only vacuum in the running that has a swivel joint in the brush head, which allows the Shark to pivot around furniture and other obstacles. 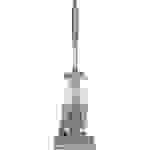 The Shark's small brush head also helps you reach tight spaces. However, we feel that the Shark isn't as good a value as other vacuums on the list. Even though it's the most expensive cleaner we included, it only picked up 38 percent of testing dirt we put down on a normal carpet. Other vacuums cleaned better and cost less. Given all the trade-offs, the Shark Navigator Lift-Away is a fine choice for small apartments that feature a variety of floor types. But given its quirks and high price, it falls into fourth place in our tests. Rounding out our list of the best affordable uprights is the Dirt Devil Power Pro. Retailing for around $50, the Pro Power is the most affordable of our affordable vacuums. However, that low price comes at a cost: On average, the Dirt Devil was only able to get 20 percent of dirt out of a normal carpet. 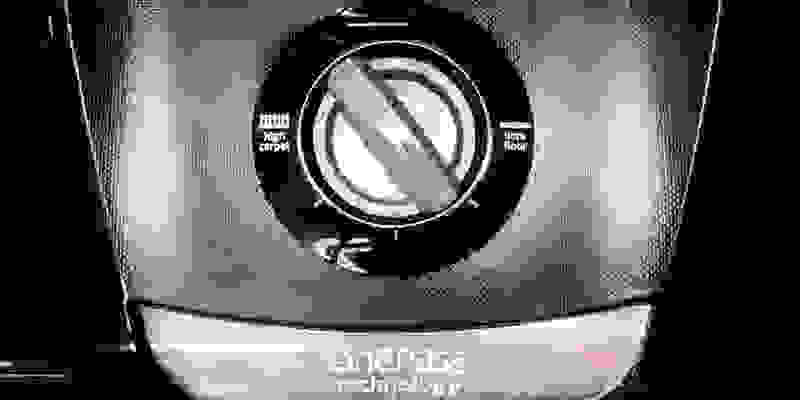 Its motor also made 86 dBa of noise—about the same as a blender—which made it the loudest vacuum we tested. The Pro Power may have been the weakest performer, but it checks all the "I want to save money" boxes. It has a washable filter, it does not need replacement bags, and it fits in almost every budget. However, a vacuum is designed to clean your house. That's why we recommend spending a little more to get a vacuum that won't leave most dirt behind.